originally comprising a spa, a chateau, a hospital, a theatre, ecclesiastical edifices and sets of High Baroque statuary. The only remaning remembrance of the old glory and monumentality is the still standing Hospital of Mercyful Brethern, surrounded by masterpieces of European art - Braun´s sculptures of Virtues and Vices. 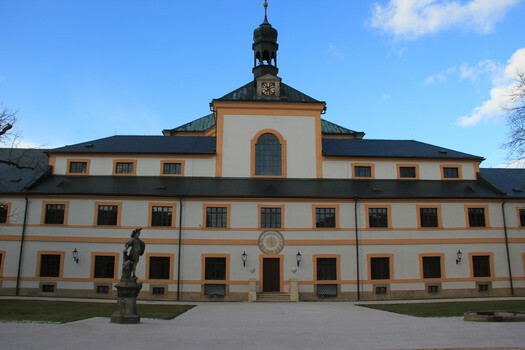 In the present building of Hospital, the visitors will find the originals of the statues, a Baroque apothecary´s, a crypt of the Hospital´s founder, František Antonín Špork, Czech Pharmaceutical Museum and many other things. 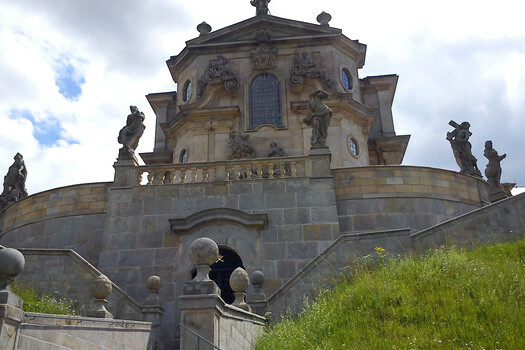 In the near vincity, at Žireč, you will find Braunův Betlém (Braun´s Nativity) - a natural park with a gallery of Baroque sculptures, depicting Biblical scenes.